Directional notices in Scripture can orient us to “where” an occurrence originates, or symbolically reference key Hebraic associations. The wise men came from the “east” to see Jesus (Matthew 2:1). Judah would be attacked from the “north” because of apostasy (Jeremiah 13:20). Reuben was a lead tribe and his camp was to the “south” of the tabernacle (Numbers 2:10). Directions also represent spiritual metaphors. The ram that came out of the “east” (Daniel 8:4) (hystorically, Cyrus – but also represents the Deliverer). Christ will come as lightning that shines from “east to west” (Matthew 24:27) – right after mankind is “delivered” (Daniel 12:1). God’s dwelling place is seen as in the “sides of the north” (Psalm 48:2, where Zion is). 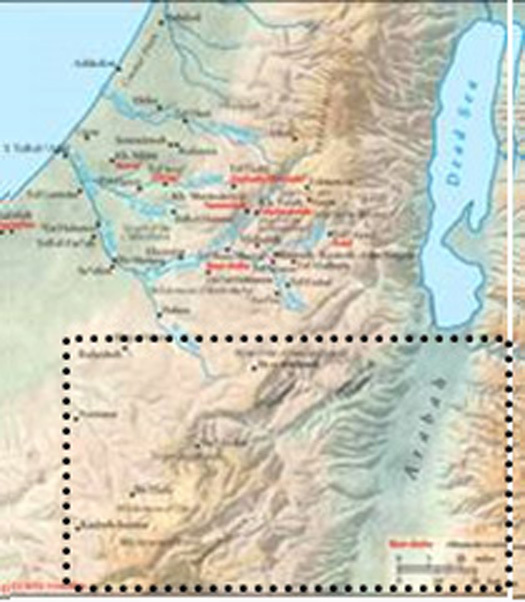 West is associated with apostasy where the tribe of Ephraim was located (Numbers 2:18). When we look at a prophecy that has directional information, we see unique clues to an important truth. When Isaiah penned that Lucifer exalted his throne to “the mount of the congregation, in the sides of the north” (14:13), we can immediately conclude that he wanted to be like God and rule on Mount Zion. The next verse confirms that: “I will be like the most High” (14:14). “Direction” alone can give amazing insight. Daniel conveys remarkable information regarding the eschatological future through compass orientation. The kings of the “north” and “south” in Daniel 11 are no exception. In this narrative we will focus on the southern “king” and assume that the northern leader is known to be the antichrist, from contextual clues. Concentrating on Daniel’s pivotal verse: “And at the time of the end shall the king of the south push at him: and the king of the north shall come against him like a whirlwind, with chariots, and with horsemen, and with many ships; and he shall enter into the countries, and shall overflow and pass over” (Daniel 11:40). It is for the “time of the end” – recognized by a majority of scholars as eschatological (the period surrounding Christ’s Second Coming). A “king” (leader or ruler) originating from the “south” attacks a northern “king” (leader or ruler) – the antichrist. The attack is in military language. The intention is to do harm to the northern antichrist power. “Push” (nagah – H) means to attack, wage war, “gore” (like a bull). The counter-attack by the “king of the north” takes “him” into many nations or countries. The southern kingdom or power is defeated. 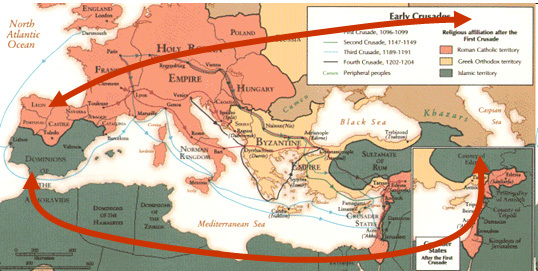 A footnote to a prior prophecy in Daniel 11:21-28 (focus here on vs 25) shows another “north” and “south” conflict between the Islamic world and the papal-dominated Christian world that anticipated the Crusades. 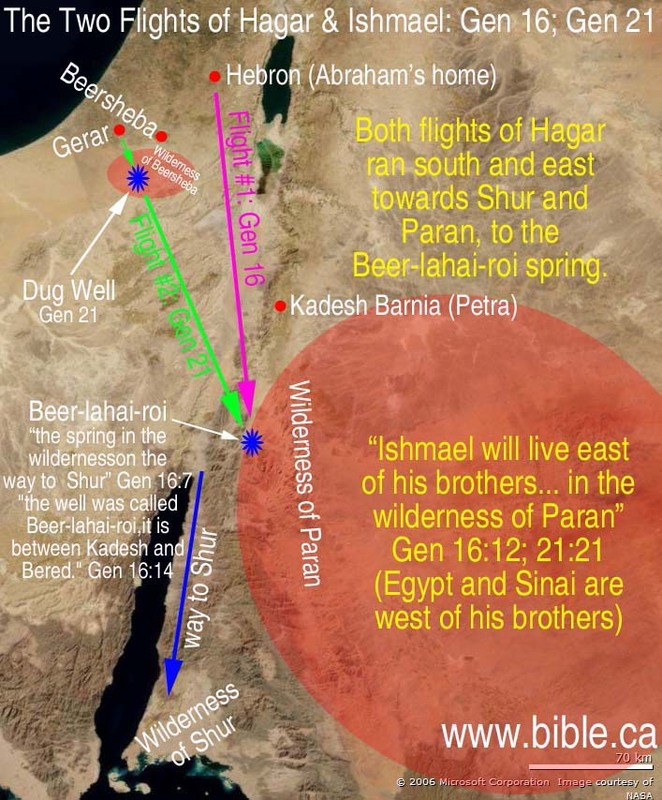 That became a historical model for what emerges at the “time of the end.” Looking at the “south” and “north” conflicts from the time of Isaac and Ishmael forward also brings us to an even clearer understanding of this end-time saga. A conflict between Islam and Christianity is in view, bundled within earth’s final events. The Hebrew word for “south” in Daniel 11:40 is negeb. It is a common word related to “the south” – but comes from a Hebrew root word meaning “to be dry.” This is used numerous times in the Old Testament – first in Genesis, related to Abraham (12:9, 13:1, 3) in his journeys below the “promised land” (south) – even alluding to the country of Egypt. Negeb was known as a geographical area, roughly 4800 square miles of barren land, including the southern tip of Palestine, on southward into the Sinai Peninsula, and southeast into Arabia. 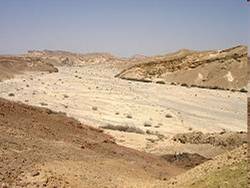 That was an area described as “desolate” (Jeremiah 13:19, Ezekiel 20:46-47). It is possible that it was fertile at the time of Abraham. 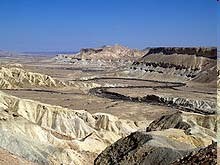 “Desolation” (“barren land”) became an important symbolic term in the Bible for nothing left – the final result of God’s wrath (Daniel 12:11, Mark 13:14). Thus, “south” has an association with “desolation,” few blessings or even a divine curse. When Abraham came out of Egypt, where he and Lot had gone to escape a Canaan famine, he entered Negeb (Genesis 13:1) and then traveled northward to Hebron (13:18), which would later become the first capital city of David. It lay south of Jerusalem and Bethlehem in the lower part of Judah. It was in this area that the saga of the “south” all began. “And Abraham rose up early in the morning, and took bread, and a bottle of water, and gave it unto Hagar, putting it on her shoulder, and the child, and sent her away: and she departed, and wandered in the wilderness of Beersheba” (Genesis 21:14). That was on the northern edge of the wilderness of Negeb and south of Hebron approximately 35 miles. Their supply of water ran out. Hagar cried to God, and an angel came to talk with her and gave her special help. “But God heard the boy’s voice. The angel of God called to Hagar from heaven and asked her, “What is the matter, Hagar? Don’t be afraid, for God has heard the boy’s voice right where he is crying. Get up! Help the boy up and hold him by the hand, for I will make him into a great nation.” Then God enabled Hagar to see a well of water. She went over and filled the skin with water, and then gave the boy a drink” (Genesis 21:17-19). Years later Hagar found an Egyptian wife for Ishmael (21:21b). The narrative then notes that Ishmael became an archer and dwelt in the “wilderness of Paran” (21:21a). The wilderness of Negeb, extending eastward through the wilderness of Paran (northern Arabia), became the land of Ishmael and his descendants. This geographic area, in turn, became a metaphor, a model, for what we will eventually see in Daniel 11 as the land of the south. God had promised Abraham that a great nation would come out of Ishmael – “because he is thy seed” (Genesis 21:13). Hagar received the same assurance. “He will be a wild donkey of a man; his hand will be against everyone and everyone's hand against him, and he will live in hostility toward all his brothers” (Genesis 16:12 – NIV). “And Ishmael and his sons, and the sons of Keturah and their sons, went together and dwelt from Paran to the entering in of Babylon in all the land which is towards the East facing the desert. And these mingled with each other, and their name was called Arabs, and Ishmaelites” (Book of Jubilees 20:13). The Psalmist, in enumerating those who intensely hated Jehovah, noted especially the Ishmaelites (Psalm 83:1-2, 5,6). Intriguingly, that record was almost 900 years after Ishmael, with his mother Hagar, left for the “south.” The Bible calls the descendents of Hagar “Hagarites.” Saul engaged and defeated them according to one record: “And in the days of Saul they made war with the Hagarites, who fell by their hand: and they dwelt in their tents throughout all the east land of Gilead.... And they made war with the Hagarites, with Jetur, and Nephish, and Nodab. And they were helped against them, and the Hagarites were delivered into their hand, and all that were with them: for they cried to God in the battle, and he was entreated of them; because they put their trust in him” (I Chronicles 5:10, 19-20). The Ishmaelites gradually spread east and south, still moving geographically toward the “south” of Canaan. This, now, is the prophetic model we use to move deeper into the “north” and “south” issue of Daniel 11. 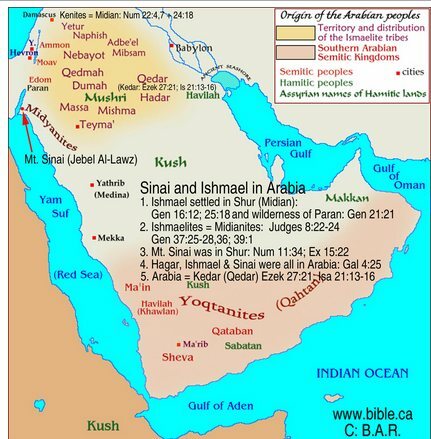 The Ishmaelites became the Bedouin tribes, along with the people of Kuwait, the United Arab Emirates, Yemen and Saudia Arabia. Muhammad Abdullah (571 – 632 A.D.) was born in Mecca, Arabia. He was the founder of Islam and is purported to have had divine revelations, leading to the writing of the Quran. The residents of Mecca did not accept this “new religion,” even though it originally had peaceful intents. In anger, Muhammad moved to Medina, where he mustered a following. His “dogma” changed and was to be spread through violence and plundering the possessions of others. “Infidels” (those not identifying with Muhammad’s beliefs) were to be a “lower class” and even killed. Here, another part of the Quran was “received,” where the barbaric intensions were recorded, which drive much of terrorism today. Coercion and force were so successful that conquest of other nations followed. After Muhammad died, his successors were called Caliphs. The demographics of this terrorist movement are fascinating. The “north” – related to those claiming the Holy Bible as God’s Word – Christianity. The “south” – related to Ishmaelites/Islam (Muhammad’s followers), claiming the Holy Quran as Allah’s word. Many Protestant leaders today are raising the question as to whether Islam is being described in the Biblical narrative as the antichrist. Satan would love to see that diversionary conclusion expanded. There are uncanny similarities – but the eschatological antichrist conquers through peace (Daniel 8:25). 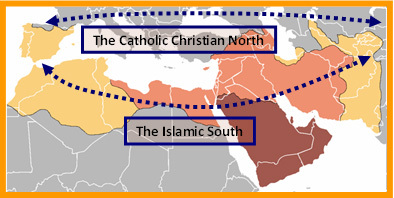 No matter where we enter “time,” the geographical distinction between the “north” (Christianity/Catholicism) and the “south” (Islam/Muslims) remains the same. God is very precise in conveying symbols. “North” and “South” have remained a distinct “separation” since God began to set aside people He called “His own.” Yet, intriguingly, both groups rebel against him, with only a “remnant” who will be saved. The rebellion of Ishmael, and later Islam, was anticipated – even though Scripture says: “God was with the lad” (Genesis 21:20). His behavior was to be Satan-like (Genesis 16:12). The rebellion of Isaac’s descendants was also anticipated. Yet out of that lineage the “ruler of Israel” was to come (Micah 5:2). But when He came, the world “knew him not” (John 1:10). The Jewish people rejected Him, and He finally rejected them (Matthew 21:42, 23:37). Of the end-time Roman element of the Christian Church it is said: “… he shall also stand up against the Prince of princes” (Daniel 8:17, 19, 25). He (the little horn – the king) becomes the antichrist! (cf. Daniel 12:36-45). Between 1095 and 1291 A.D. a major catastrophic events occurred between these powers. 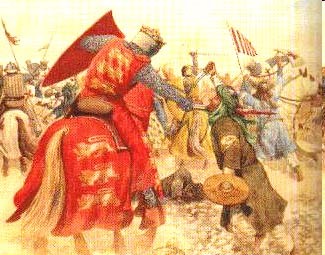 The Muslim world “pushed” against the northern “Catholic Christian” world, leading to the bloody Crusades. The death toll from these wars was estimated to be 1.5–2 million people. Another illustration of this model came with the Ottoman Empire – later Turkey. 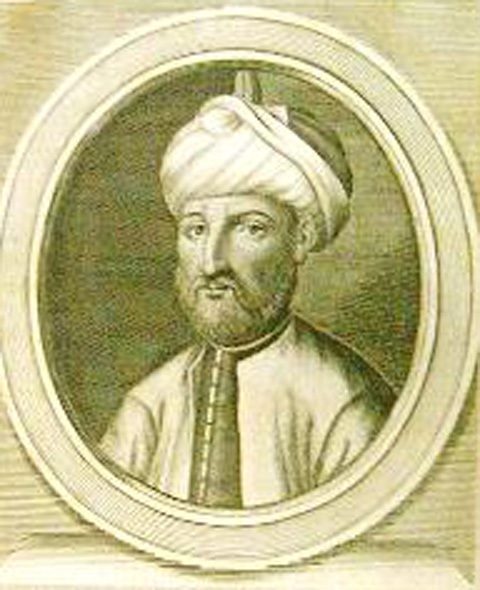 Osman I (1259–1326) was a Muslim Turkish warrior prince. 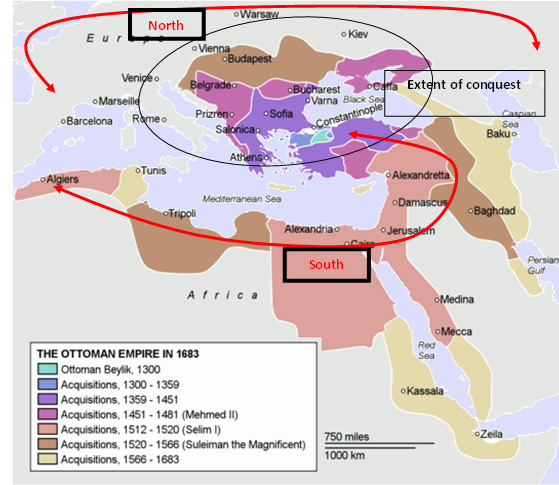 He began to conquer neighboring regions, bringing the Ottoman Empire into existence by 1300 A.D. Later, its troops swept into Europe, controlling much of it by the 16th century. Again, history replicates these giant “metaphors” of attacks between the “south” against the “north.” Thus – both “north” and “south” are seen at the end as apostates in conflict. It was in the mid-17th century that the counter-Reformation began, which strengthened the papacy for a short time. Then French leader Napoleon Bonaparte suppressed its gains. Was Catholic power to evaporate into history? The Bible says, No! What about Islam? Was it to disappear? Again – No! End-time prophecy reveals a major conflict between Catholicism and Islam in a final eschatological period. The Vatican was crippled in 1870, when the Italian government confiscated all the Papal States. The Roman Church became impotent. Then a resurgence of Catholic Church power, begun in 1929 with the Lateran Treaty between Mussolini and the Church, led to the world-recognized Vatican City State. Its church–state structure was once again established. Exchange of ambassadors with other countries quickly followed. Then Vatican II (1962-1965) brought a dramatic ecumenical bonding with the Protestant and non-Christian worlds. In 1978 Pope John Paul II was elected as the “supreme pontiff.” His tenure of leadership brought the Catholic Church into the forefront as the world’s most powerful “Christian” religion. Though this is a topic in other studies, this was another fulfillment of prophecy noted in Revelation 17. He would be the sixth head of the beast that the harlot was sitting on – the “one that is.” He was seen by more people than any one man in history. During his tenure the first ambassadors were exchanged between the United States and the Vatican. He also received a deadly wound and lived (Revelation13:3) in an assassination attempt. This all began when the price of oil first surged in 1972. When the Shah of Iran was deposed in 1979, a radical state was set up by Ayatollah Khomeini. This emboldened the violent element within Islam. That began the “Iranian Revolution.” From that point on bold subversive and violent warring ventures have been common. Iran was transformed from a constitutional monarchy under the Shah to a populist theocratic Islamic republic under the rule of the Ayatollah. Other nations with Islamic majorities moved into public view! 1928: The Muslim Brotherhood began, it was morphed into a fearful Islamic organization. 1929: Reunification of Catholic Church–State and the healing of the beast’s wound. 1978: The papacy was geopolitically strengthened by the election of Pope John Paul II. That was also the year the upsurge in calamities began to fulfill Christ’s prediction that “when” these things began to occur together, all would be finished in one generation. 1979: The Islamic world received a surge in funds from oil, provoking the onset of activist plans to control the world. That was the year the Iranian Revolution began with Ayatollah Khomeini, when the country deposed the Shah of Iran. 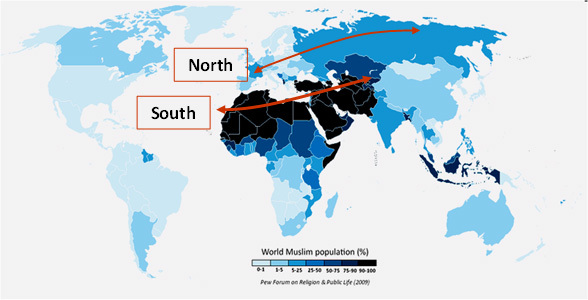 Over the decade of the 1990’s, the Islamic “south” moved into a competitive stance to gain control of the world. Its modus operandi? Talk as if the Quran and Islam promote peace – but in reality promote violence to gain world dominance. That is called Al-taqiyya, that is, lying is not a sin if the expansion of Islam can occur through deceptive claims. Intriguingly, the Catholic Church has similar ways to lie and deceive called equivocation or mental reservation, as examples. Serious concern regarding the intentions of Muslims began to rise due to the murderous hatred against Salman Rushdie, British–Indian novelist, when in 1988 he wrote The Satanic Verses. By 1989 death threats began, including those from Ayatollah Khomeini of Iran. A sense of apprehension spread throughout the world. For many years Rushdie was in hiding. In 2005 the Danish newspaper, Jyllands-Poster, published a series of cartoons that questioned Muhammad’s integrity. Violence erupted in many Muslim countries with a large number of deaths. Jihad was called against the newspaper and an international incident came when eleven Muslim countries asked for a formal apology from the newspaper. This finally came in January 2006, after fierce resistance. Then death threats were made against the artist, Kurt Westergaard. He had to go into protective hiding (an axe-wielding Muslim from Sudan unsuccessfully tried to kill him in January 2007). Again, international disgust against Islam fomented and an ill-defined apprehension against Islam intensified. From the Ottoman Empire (Turkey), where one and a half million people were murdered in a genocide campaign (1915–1923) to contemporary Sudan, where it is estimated that two million Christians have perished in the last twenty years, Islam has been a violent, crescendoing force. The imagery of war and homicide is everywhere – but is sidestepped in media reporting! Similar statistics from Nigeria have been tallied by Amnesty International. They estimate that 2,000,000 have been murdered (mostly Christians) in the last two decades – mainly in the thirteen states that operate under Sharia law – in the northern part of that country. Yet again – a pro-Islamic sentiment pervades in the liberal media of the free world. After 9/11 and confirmation of Islamic ties to that horrific terrorist attack on America, an anti-Muslim spirit threaded its way through the United States. But the “peace-loving” stance of “most Muslims,” promoted by the Bush administration, mellowed much of that fear. On September 16, 2010, children of Boston’s Wellesley Middle School were taken on a fieldtrip to the Islamic Society of Boston’s Cultural Center and required to pray to Allah. A fascinating spirit of accommodation came into many minds – even to the point where, later, California schools required children to dress as Muslims and learn about their religion on a specified day. Parental suits were rejected by the 9th Circuit Court of Appeals on the basis that the classes were only “cultural education.” A spirit of subliminal fear crept into even America’s judicial system. The need to appease became pervasive at the expense of truth, reality and defending freedom. This is neither reasonable nor accommodating towards any national self-interest! There is a “progressive” spirit that blindly assumes that being “nice” and “complementary” will bring an end to hostility. Often, when judicial and political hatred against Christians mount, peaceful gestures towards Muslims inappropriately crescendo, emboldening their aggressiveness. Even within the evangelical world many have seen it a Christ-like duty to claim that Allah and the Christian God are the same! The peaceful nature of Islam was eulogized in 2008 when 138 prominent Islamic leaders wrote a letter called “A Common Word between U.S. and You” to the American Catholic and Christian community. A reply was drafted by scholars of Yale Divinity School’s Center for Faith and Culture, called “A Loving God and Neighbors Together.” Three hundred prominent Christian leaders signed it. In that document, they again equated Allah with the Christian God. The Christian belief of a Triune God was rejected, and no one addressed the Quran’s belief in monotheism (Sura 3:64). Those leaders, which included Rick Warren, Bill Hybels and Brian McLaren, asked for forgiveness of the All-Merciful One (an Islamic expression for Allah). They also conceded that Muhammad was a prophet. Steinmann, Andrew E.; Daniel (Concordia Publishing House, St. Louis), p. 543; Brighton, Louis A; Revelation, Concordance Commentary (Concordance Publishing House, Saint Louis), 1999, pp. 357-363. White, Ellen G.; Conflict and Courage, p. 57. The Zondervan Pictorial Bible Dictionary, “Ishmaelite” (Zondervan Publishing House; Grand Rapids, MI; 1963) p. 387. Crusades". Archived from the original on 11 May 2006. http://web.archive.org/web/20060511083818/ http://www.bootlegbooks.com/NonFiction/Mackay/PopDelusions/chap09.html.